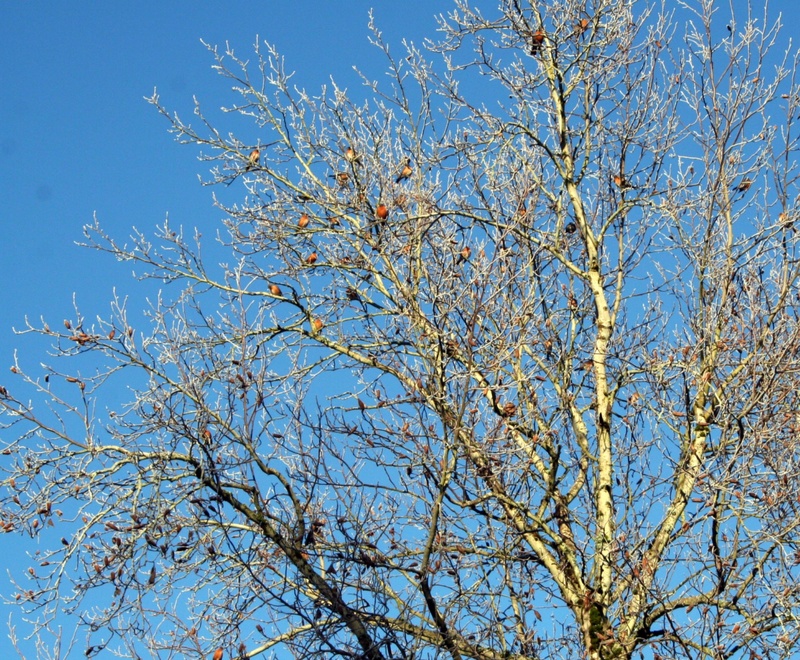 There was a noisy chatter in the neighbor’s tree. 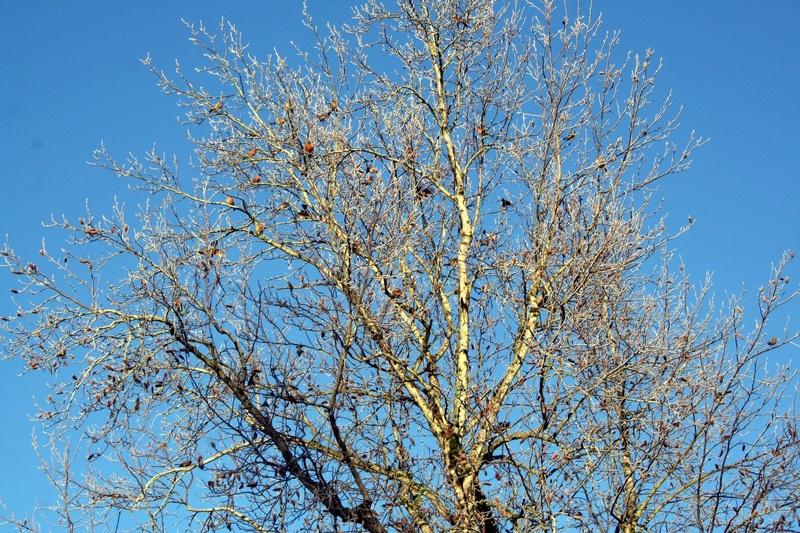 A flock of American robins had claimed it for their own. 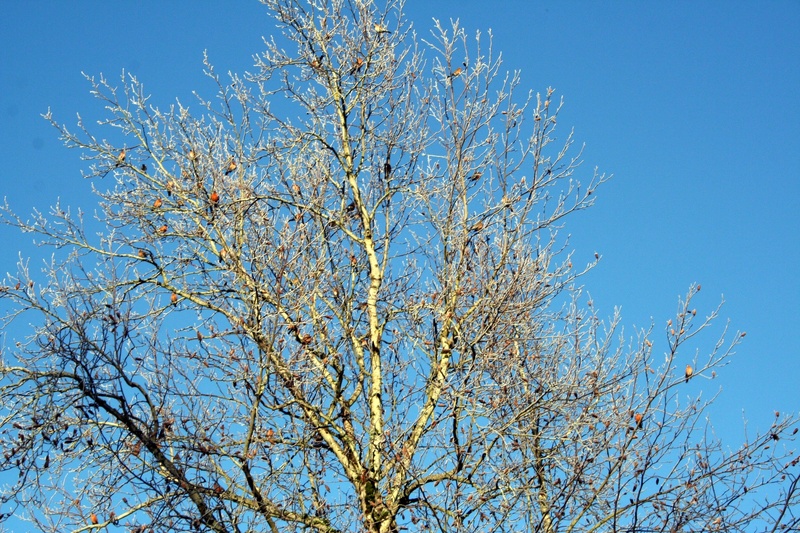 There were somewhere around 35-40 robins flitting from limb to limb (I counted 32 in one photograph). This is when I really need a zoom lens.